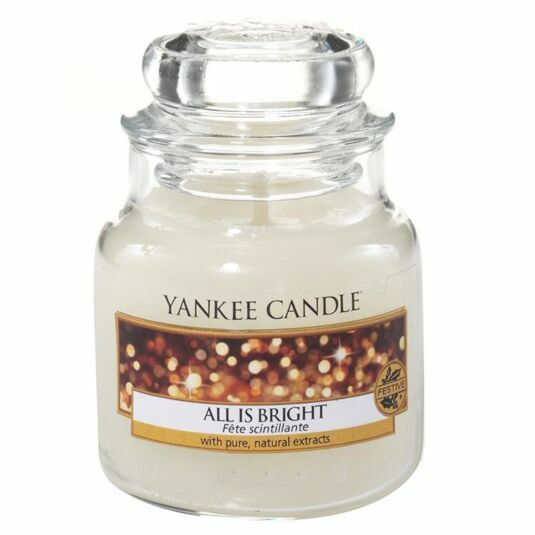 The weather outside might be frightful, but a festive cocktail is most delightful with this range of colourful and warming fragrances and this All Is Bright Small Jar from Yankee Candle, part of the Holiday Party range of fragrances. A blend of sparkling citrus scents drifting on warm musk make this fragrance a fizz of bubbly for your home. Top notes of Grapefruit and Orange mingle with middle notes of Redcurrant and base notes of Sweet Musk. This small classic jar candle has a burn time between 25-40 hours and reflects a fresh and tropical sense of style that’s always at home, be it in the bedroom, the bathroom, the living room, or anywhere else you see fit. A fabulous gift for a friend or a treat for yourself.